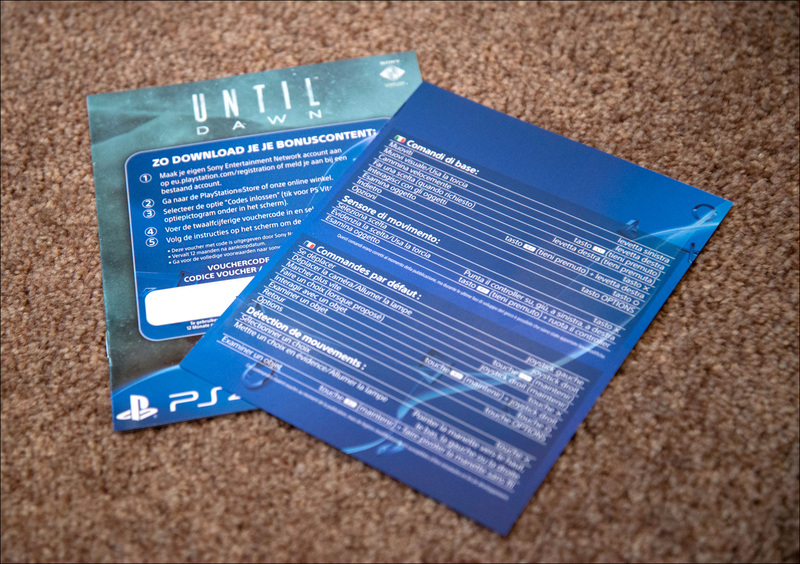 Until Dawn was released in August 2015, exclusively for PlayStation 4. In Europe, three different versions were available: the regular version, an extended edition with a bonus chapter, and a steelbook edition. 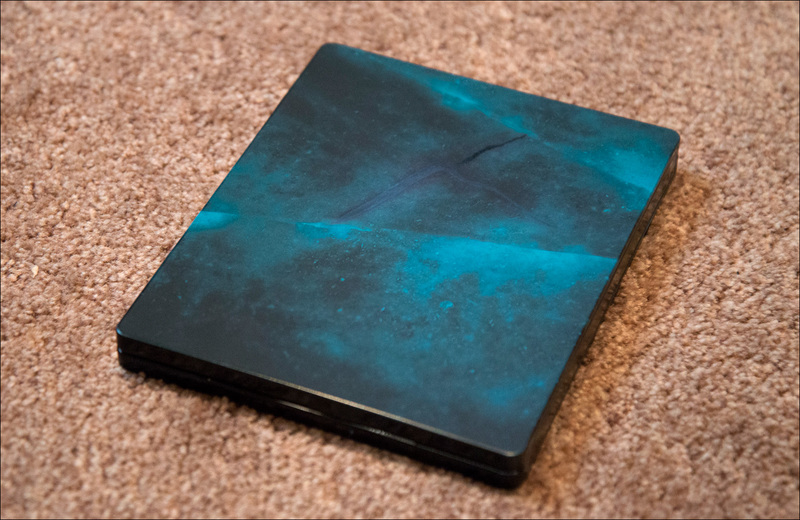 The steelbook has a clean and simple look: a blue pattern of cracking ice, with only the title in the center. 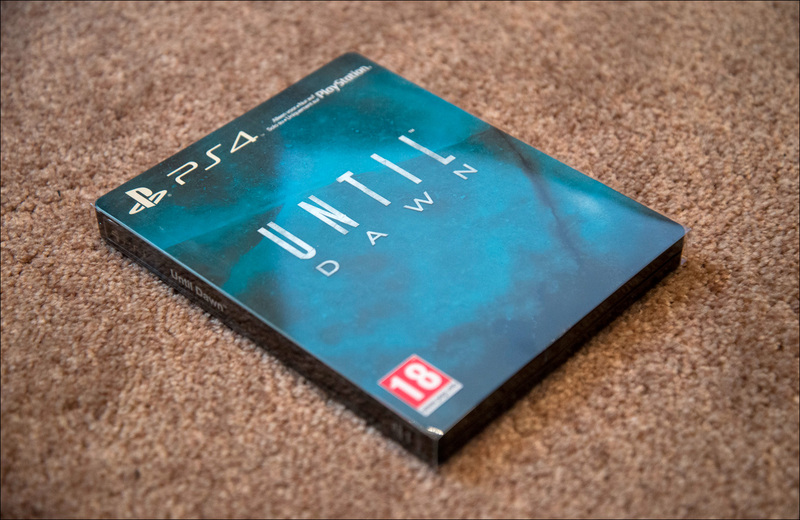 After you’ve removed the outer sleeve, even the title is gone, and it’s just an empty space with a PS4 logo in the corner. Kind of strange they didn’t even put the logo on there (the blue butterfly). The back looks almost identical to the front, with the pattern continuing across the surface. 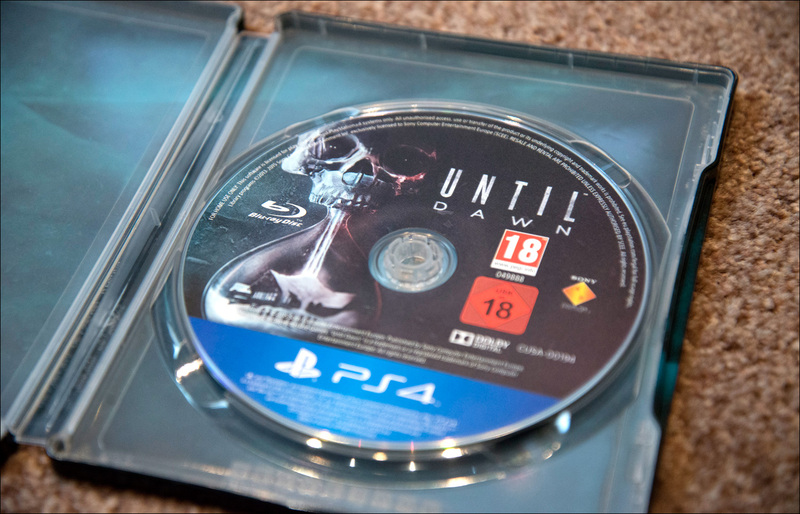 Inside, the disc and a code for downloadable content, the same bonus scene that is included with the Extended Edition. While this edition is nothing too special in terms of presentation or content, it’s actually quite valuable and hard to find. 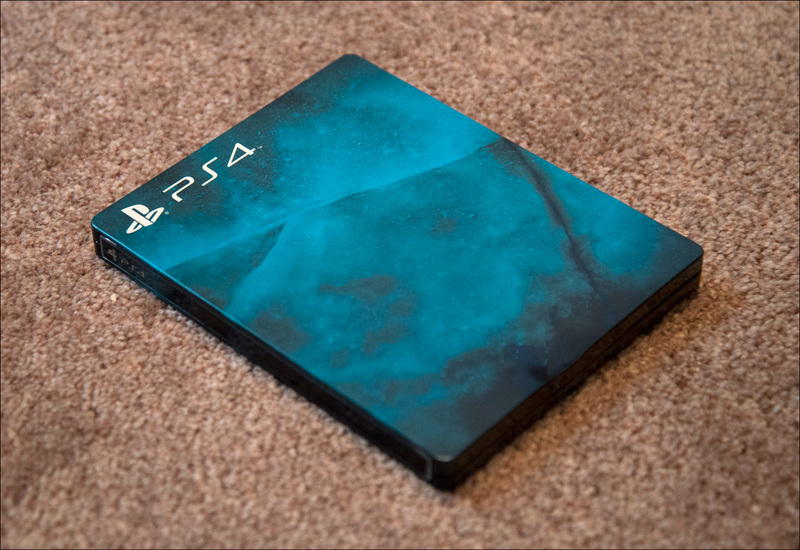 Not too many of these steelbook seem to have been made, and the result is a demand that’s outpacing the supply. The rarity that is a result of this does make it feel more like a collector’s item, but it also means it’s hard to get your hands on unless you’re lucky. All in all, this collector’s edition isn’t really anything special, but for those looking to expand their collection it may be interesting regardless.